You must make reservations at least 5 minutes in advance of the time at Rice & Company - Luxor. Monday 5:00 p.m. - 10:00 p.m.
Tuesday 5:00 p.m. - 10:00 p.m.
Wednesday 5:00 p.m. - 10:00 p.m.
Thursday 5:00 p.m. - 10:00 p.m.
Friday 5:00 p.m. - 10:00 p.m.
Saturday 5:00 p.m. - 10:00 p.m.
Rice and Company features fresh, tasty and healthy Asian Cuisines with the motto EAT RICE, DRINK TEA, SLURP NOODLES, STAY HEALTHY, this new venue will offer some of the finest modern Japanese and Chinese cuisine in Las Vegas. Located near the entrance of Mandalay Place, this enticing new casual dining alternative will offer an intriguing menu of tropically influenced variations of sushi and sashimi as well as hibachi, teriyaki and Chinese food classics. 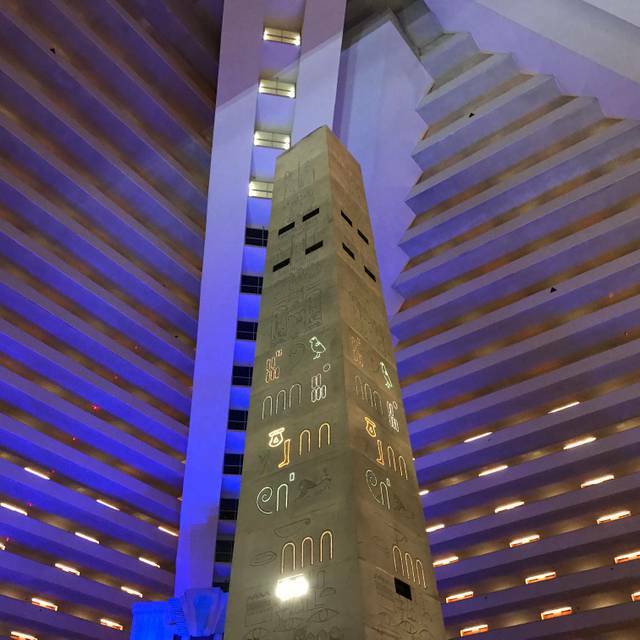 Convenient if you're in the Luxor. The food is expensive for what it is. Surprisingly sushi if one of the better value options to get since they give generous portions. Price is about double what you'd pay for the same meal off-strip. Wait staff was really nice though. Always nice to spend a relaxing evening dining at Rice. David, our favorite server, always has suggestions as to menu items and we're never disappointed. Ming, the manager makes a point to acknowledge guests and make us feel welcome. Thank you! Food and service was great overall. The rolls were fresh and there was a great variety of dishes to choose from. Food & service were good. But unfortunately, the dated decor creates an unimpressive desire to return. We were able to use a MyVEGAS reward that gave us $50 off of $100, so overall value was better than if we hadn’t. We had a very long wait just to get menus and a long wait in between everything else I’ve never had a dinner takes so long. Our waitress was not friendly at all bordering on rude. The highlight was the gentleman who was refilling our waters. He was very nice and friendly. I wouldn’t recommend it and would never go back. It was not just us. There were other tables in the same area that were making jokes about how long the service was taking “ No Rice & No Company-service”. We didn’t even have the opportunity to order appetizers. And this was at 7 o’clock before it even got busy so there is zero excuse for the lack of service at the tables. Great food and really great service we will definitely eat here again. Wonderful service and delicious food! 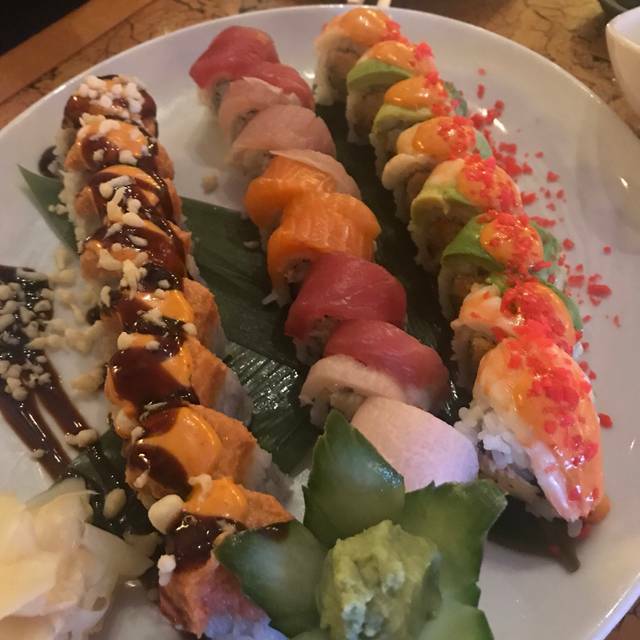 Sushi was outstanding! Nice spot. Not very noisy. Food was good. I've been multiple times and our server was fantastic and the peppered beef is delicious. the restaurant looks very nice. the food is OK, not great. it's just an OK place to eat. Ordered lettuce wraps, Mongolian beef, and a roll. Best Mongolian beef I've ever had, and everything else was awesome. Highly recommend. Not too impressed. Food took a while to come out and it was only a few guests in the restaurant at the moment. 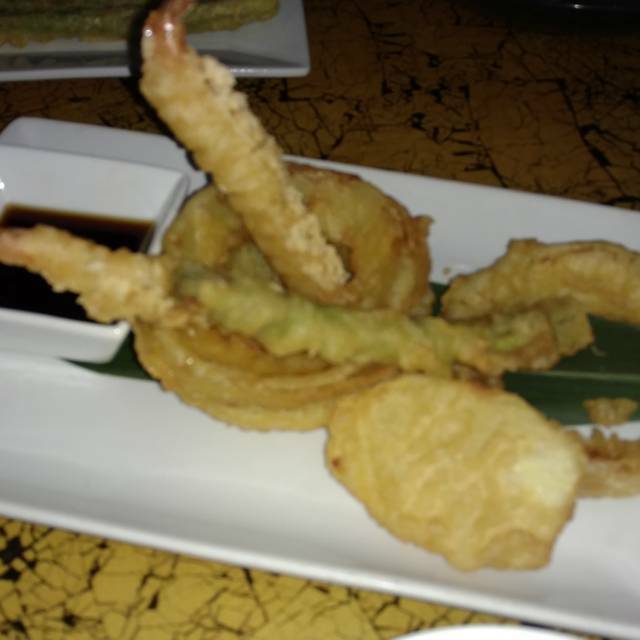 I ordered an appetizer and took maybe 25 minutes to come out. It was a simple California roll. It was actually prepared quickly but it sat on the counter for that long before I asked to cancel the order. They eventually apologized and comped is the roll. Nice gesture. The server was very annoyed with our party. Seemed to be too busy and was not attentive to any of our questions or needs. Took a long time to situate t he bill even though it was discussed numerous times. The food and service were outstanding. We go to Rice every time we’re in Vegas. Food and service have always been excellent. Had our favorite server, David, and met the new manager, Ming. Nice to be remembered as repeat customers. Excellent food, excellent service, amazing drinks, and lovely atmosphere. Love, love this place!! Will go back for sure!!! We love this place and recommend it to everyone! The fish is so fresh and the restaurant is beautiful! Very tasty food, excellent value for the money, helpful and attentive staff. We have an excellent time at Rice & Co. while in Vegas. The food was outstanding and the service was phenomenal. Our waiter was so friendly. We really enjoyed ourselves, nice job! Attentive friendly service. 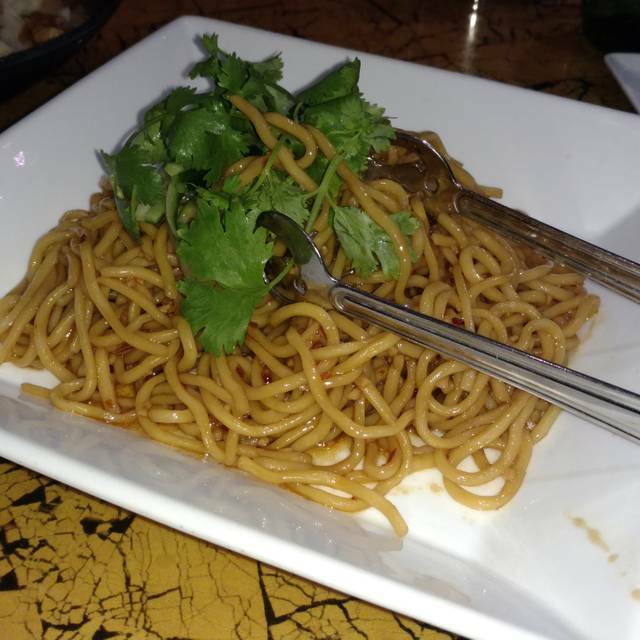 I had the Singapore noodles which were excellent. Excellent food and excellent service!! Food was way too salty. Wonderful dinner experience. Excellent food, great menu, friendly & helpful staff. Will definitely dine here again. Food was good-not great. Service was average for Las Vegas. Expensive menu. Dinner was excellent. We had miso soup and Yuzu Hamachi for appetizer. Both were excellent. 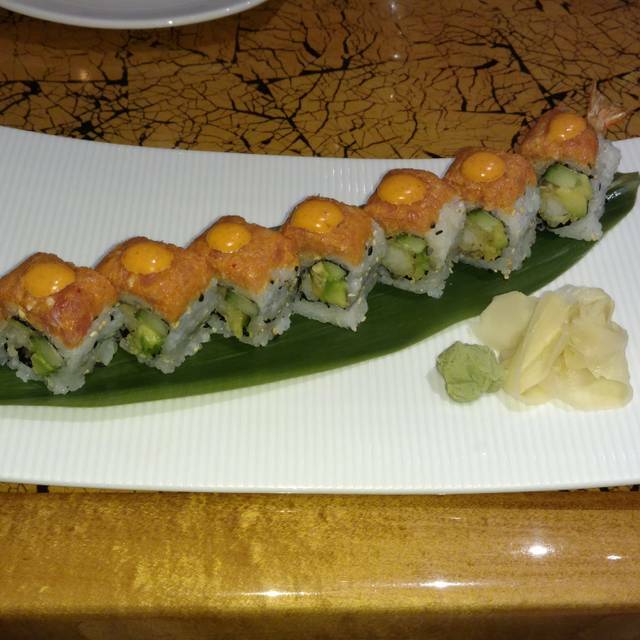 Our server recommended the candy cane roll and we weren't disappointed. All fish were fresh and beautifully served. Dinner was pad thai and beef chow fun. The chow fun was just ok. It was lacking in flavor but noodles were cooked perfectly. General Tso's chicken was good. Not spicy, but a little small on serving size. The Mongolian beef was too spicy for my wife, but perfect for me. Godzilla chocolate cake was good to balance all the salt from the meal, but a little heavy on the mousse filling. Overall a very good meal. Service was top notch. A great dinner before carrot top. Love rice and company. Great happy hour food! Everything taste great! Reasonable prices and quality food. Went there for our daughter's birthday dinner. The food wasn't bad, but the service wasn't great. We weren't even offered non alcoholic drinks. Eric our server was a bit "used car salesman". We work in a resort and are very well versed in attentive hospitality. Sat down a little early had a reservation for 8:00, ordered one drink from the bar didn’t receive it and had to remind server. Ordered edamame as the only appetizer received it but with the food. For the place not being busy slow service. Food was not hot just warm. Extremely overpriced terrible food. My cauliflower fried rice was so stinky (smell of old vegetables that went bad). I had a terrible stomach ache immediately. Has a feeling of cheap diner. The only reason we went there is because of the show that was in the same hotel. Have a sandwich in a food court. You will be safer with that choice. Very nice dinner after a long day on the road. Great food. I was given the wrong sushi. When I inquired I was told I was wrong. Ten minutes later waiter can back admitting error and picked the wrong pieces off my plate instead of just going immediately to the sushi chef and just for tme the pieces I ordered. On top of that he wanted to take ALL my sushi away while he fixed the problem. I would’ve expected better problem solving in a higher level of customer center service. 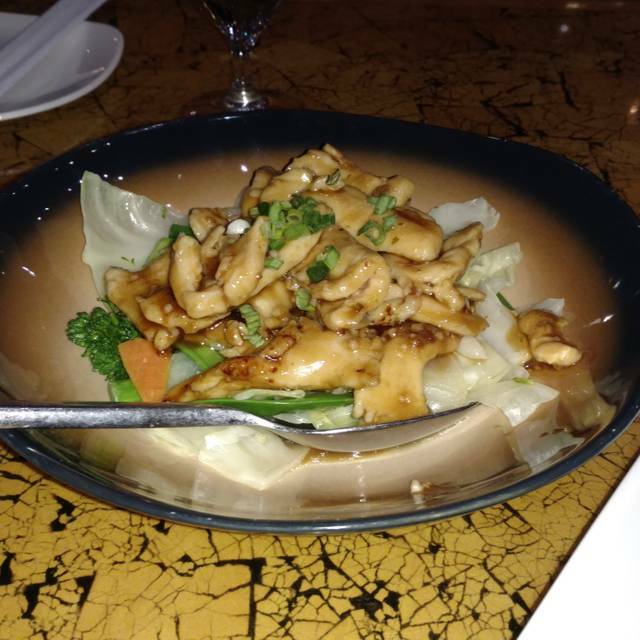 We loved the friendly, courteous and professional service both times that we frequented the restaurant. The wine list is nice and the cocktail selection is excellent. The menu and costs are well laid out and quite reasonable. The appetizers, entrees and desserts are outstanding. The salmon teriyaki was the showstopper, the sushi was ok but actually preferred the hot food which was surprising since I normally prefer sushi.